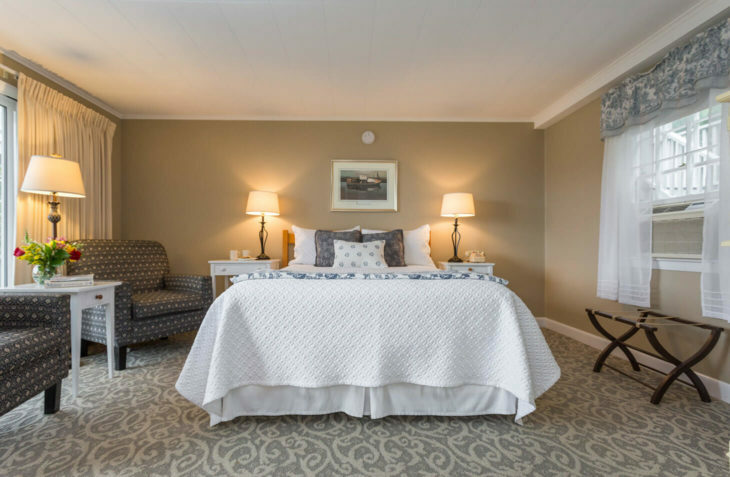 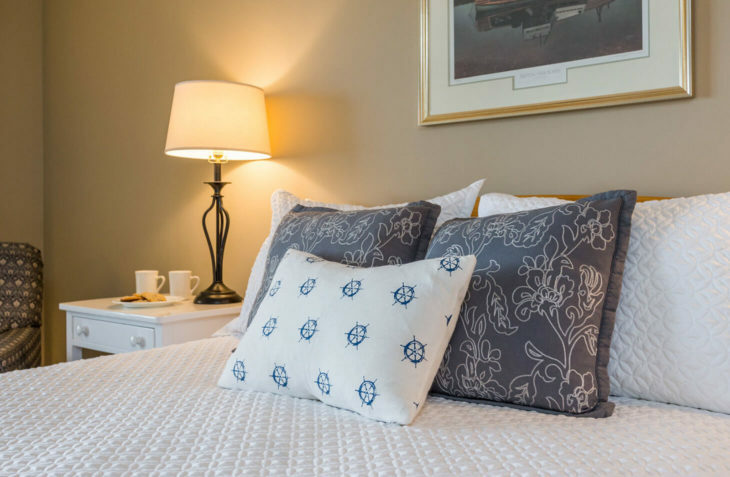 Spacious and perfect for longer stays, this room includes everything you need for a relaxing and comfortable stay at our oceanfront hotel in Maine. 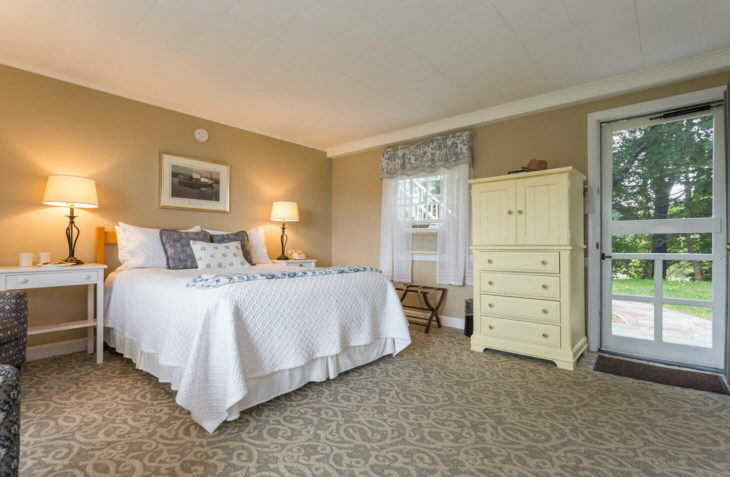 It can accommodate up to 3 visitors and provides guests with a queen bed and an alcove with a twin-sized bed. 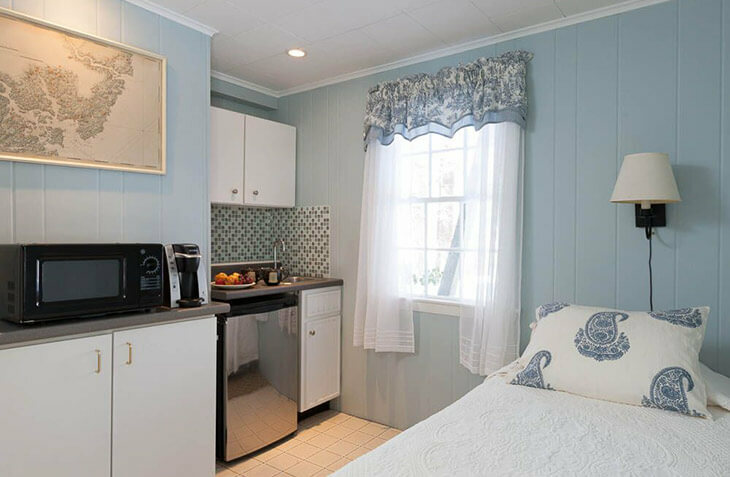 It also features a private bathroom, a deck overlooking the water, coffee maker and microwave, and more. 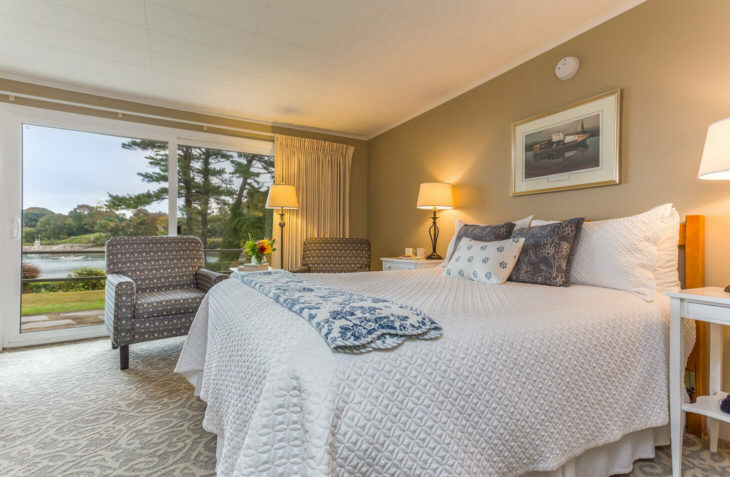 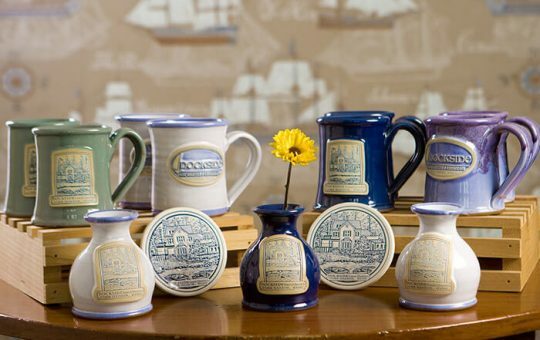 It’s the perfect haven for a memorable Maine coast vacation.